You are here: Home / Seller's Corner / Why In The World Do Sellers Offer Owner Financing? 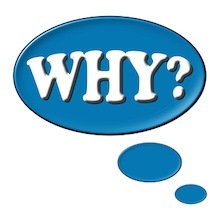 Why In The World Do Sellers Offer Owner Financing? Why would anyone who owns a piece of real estate outright ever consider taking on the role traditionally held by banks and agree to sell their property in exchange for a mortgage note payable to them over time? Why accept a promissory note instead of cash? Why in the world would sellers offer to owner finance? One key benefit to a seller who opts to finance for the buyer is the potential for getting paid a much higher yield on their equity than they would get if they put their cash in the bank. Owner financing is one way that sellers can turn their property into an asset that provides instant cash flow and an above market yield. According to Bankrate.com, the national average return for a savings account is only a .12% annual yield and a one year CD has a slightly higher yield of .26%. By agreeing to be paid back their equity over time by the buyer, the seller can potentially generate a 5%, 6%, 7% or more yield on their equity. By owner financing the transaction, even a 5% interest rate would generate more than 40 times annually what a savings account would generate and more than 19 times what a CD would generate if the seller simply put the cash from the sale of his property into the bank. Another key benefit of owner financing is flexibility on the time it takes to close. One of the greatest disadvantages of using a bank in a real estate transaction is the length of time it takes to conclude a sale. Whether waiting on a new loan application, waiting on loan approval, or negotiating with the bank on a short sale, if a bank is involved in the transaction the time required to close a real estate transaction may adversely affect the seller’s ability to liquidate his asset quickly. The seller carry-back can be simple and only requires the buyer and seller to agree on the price and other terms of the sale. Another key reason a seller would consider offering financing terms is that it draws a larger number of potential buyers. People who cannot qualify for bank financing or who prefer not to deal with banks will be attracted to a property being financed by the seller, thereby increasing the total number of potential buyers. By having a larger pool of potential buyers the seller has a better chance of finding a buyer who will pay full market value for the property. Since more buyers will be looking at the property, the seller can price the property at the higher end of the spectrum. The niche market of owner financing is growing because of the benefits discussed above. A recent Noteinvestor.com article stated the number of seller financed notes increased by 15% from 2011 to 2012. I expect this trend will certainly continue. About the Author: Greg Gehlen is the Principal at Canyon Capital, which specializes in the purchase of real estate notes and deeds of trust. He can be contacted at 702.515.7416 or online at www.canyoncap.com. Glad you published this article. I would like to know if you – Ms. Z – or Mr. Gehlen have any thoughts on whether the SAFE Act and/or Dodd-Frank financial reforms have severely hampered Seller Financers. The Dodd-Frank provisions take effect January 2014.
and also give me great advise on the note business. Hello Herman! You are in a great position to find note deals. I encourage you to network with the authors and companies here on NoteInvestor.com. We also have an active LinkedIn group. 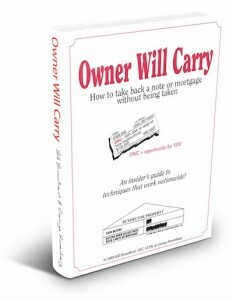 The Directory of Note Buyers is another great resource. I will go onto the Linkedin site and sign up.I will also contact authors and other folks in the business. I will use the Noteinvestor.com webite to locate buyers also.